We have an 2 opening for Freshers. Excellent Communication, Strong knowledge in SQL, Open to travel. Strong knowlege in SQL as well. It is mandatory for the eligible candidates to carry their respective updated resume,photographs & all educational certificates (original & photostat). Candidates are requested to maintain the given reporting time. Candidates SHOULD BE JAVA CERTIFIED/ Should have done Java Course and MUST have Excellent Communication. BE/ B.Tech, ME/ M.Tech (CSE/ IT/ IS/ ECE/ EEE) candidates from 2016 batch with an aggregate of 70% & above throughout 10th, 12th and UG. Candidate should be BE/B Tech from a recognized university. Candidate should assist in the technical and functional aspects of the implementation of CRM and ERP systems. Must be responsible for handling tickets and tasks and application support to the end users. Should provide timely resolution of issues. Should be able to complete the project as per scheduled. Must be a process adherence. Must be able to learn and adapting quickly to new technologies and languages. Should be a good problem solving and logic. Must have good analytical and reasoning skills. Should have good inter-personnel skills. #Weekend_walkin : Infosys BPO hiring 2+ exp UI Developer ! Infosys BPO Bangalore, has the following requirement under UI Developer, please find the below detailed job description and skills required for these positions. Interested candidates can apply by reverting their updated resume. Note: Flexible to short/Long term travel/Movement. 1) Please mention 'DS-Priyanka" on top of your cv before submit your candidature. 2) Please carry print out of this and attach with your updated CV without this letter you will not be allowed to Attend the interview. * Copy of 10th, 12th, Graduation/Diploma with marks card. * 2 passport size photograph. We are looking for people who have prior Android application development experience/training. Quick Learner & Good in Presentation Skills. Step 1: Candidates are required to take an Aptitude Test and a language test (C or Java). Final/Step 3: HR interview round. Note- Shortlisted candidates will be contacting at the earliest. Want to be part of a dynamic start-up environment within Amazon and build Indias no 1 e-commerce payment gateway platform and thus create history? Amazon Issuance Payment Platform team at Amazon India Development Center, Hyderabad is looking for a Developer to design and build the next generation Payment Gateway Platform from the ground up. Once built, this real time, highly reliable and scalable platform will process all Amazon India businesss online payments transactions with a goal of increasing current Payment Success Rates significantly and be the best in the industry. This platform will have multiple innovations(one of them being: building a smart engine which will inform customers in advance(and in real time) about the ongoing success rate of their current selected payment method). This platform will also be designed to support other emerging economies which have similar requirements like India and the role provides a huge opportunity for the developers to build a strong portfolio of patents for Amazon. This platform will also include defining and implementing India payments specific protocols e.g. UPI, IMPS, 1ClickPay and multiple other India Payments initiatives being led by NPI. We are looking for passionate, software developers for delivering high quality platform solutions that support variety of customer use cases and are extensible to handle amazon scale. web services-based applications, especially at massive scale, is also helpful. #JOB_ALERT :- Altisource Hiring SQL Freshers for Operation analyst profile ! Responsible for managing, analyzing and reporting process data. Will be required to understand the process in details and to create all necessary reports as needed by the business unit in a timely manner with zero defects. • Graduate with 0-1 years of experience. #JOB_ALERT :- Cenduit hiring SQL Freshers ! Cenduit provides interactive response technology (IRT) - driven services for clinical trials around the world. Cenduit was founded in May 2007 and emerges from a robust tradition of clinical development and clinical supply chain expertise from two world leaders, Quintiles and Thermo Fisher Scientific. Cenduit’s Software as a Service (SaaS) IRT solutions deliver optimized clinical supply chain management and facilitate precise control over patient randomization and drug administration to enable more efficient, compliant trials. With expert personnel located across the globe, Cenduit’s unprecedented level of support currently covers more than 32,000 sites in more than 100 countries. This position is responsible to provide critical support to the implementation of the clinical trial study in the live /production environment and manage the client request by providing technical assistance in the implementation of the solutions ensuring the adherence to SOP’s. Analyse the client requirement and review the Data change request, based on priority through ticketing system with minimal assistance using Cenduit Internal tool. Prepare the ad Hoch reports script using SQL with minimal assistance, based on the requirements provided by internal stakeholders. Deploy the Business Object reports in live / production environment with minimal assistance. Investigate the study related issues raised by internal stakeholders and provide assistance to resolve the issue. Critically evaluate the user request and provide suitable solutions. Plan, prepare and Review the technical information document which contains forms, reports, tasks and study related configuration information. Proactively communicate and collaborate with stakeholders to analyze information needs and functional requirements for effective delivery of the task. Adherence to the maintenance of documentation as prescribed under the departmental and corporate SOP’s. Need to provide support in various shifts on rotational basis. Problem solving abilities and detail oriented. Must have the ability to listen and ask questions to diagnose and solve issues. Ability to work independently under minimal direction and supervision. Ability to successfully engage in multiple tasks simultaneously and possess strong organizational skills. Ability to interact professionally with a diverse group of stakeholders. Bachelors’ degree required with qualification in Computer Science preferred. 0-1 years experience performing production support role . Exposure in a live environment is desired. Exposure to clinical domain is added advantage. Basic knowledge of any programming languages like VB, .Net etc. Demonstrate experience in providing technical support in a live production environment. Continuously upgrade to the new procedures and changes. If the above requirement matching to to your current role, please share your profile with Total expereience, Relevant Expereience, Current ctc,Expected ctc,and Notice Period. 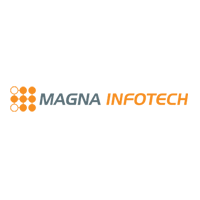 #JOB_ALERT :- Magna Infotech Hiring .NET and SQL freshers ! Immediate Openings for Technical Support(Non-Voice) in Dot Net & VB. #JOB_ALERT :- AutoCX Technologies hiring Mechanical Freshers! 0-2 years of Experienced or Fresher's are Welcome TO APPLY ! Candidates those who wanted to settle in Design Field and who has good interest in Mechanical/Automotive industry and wanted to settle as Automotive Product Design Engineer may apply . Get internship for 6 months .candidates those who are 2013-2015 passed outs only need to apply. Must walk-in to Vizag Location and must be willing to relocate anywhere in India. Criteria :- BE/BTECH/MCA - CS / IT / IS - 2015 & 2016 batch ! min 55% overall! Very good company and good opportunity for all less % people ! Walkin date : 3rd Dec | 10 AM to 11 AM only ! #Note :- Inform your all 2015 & 2016 batch MBA HR freshers ! Point of Contact : Sneha. Venue: 83/3,Delta-The Signature, 4th floor,Sarjapur road, Doddakannelli, Bangalore560035. For interview scheduled for the " Fresher " Requirement. Any Degree or Graduate Candidates in any relevant discipline from a recognized institution or university with good academic marks. Bachelors in science or Arts only BCA /BA / BSC (No commerce graduates please. ), or Diploma in any subjects. Post-graduation not required. Candidates will be selected based on their performance in the below categories. Willing to work in rotational shifts and to be flexible with work hours as per requirement. Co-ordinate and work closely with the onshore team and solve their query. Closely work and solve the issues amongst with concerning the team members. Moderately proficient in English language. Proficient in writing e-mails. Develop software solutions to meet customer requirements through team and individual efforts. Participate in the analysis and composition of requirements, design of architectural and component software features, design and implementation of system. Design and implementation of test plan, and documentation of final product. Should be able to adapt to new languages, methodologies, and platforms to meet the needs of the project. Please call only b/w 11am-8pm). 11. Paddy HR Solutions : Trainee - IT Recruiter / Management Trainee. Education Qualification: MBA / B.E., / MCA / M.Sc., / B.Sc., (Computer Science Background Preferred). Interview Time: 11:00 AM to 5:00 PM. The individual needs to be smart with great communication skills and proactive. He / She needs to have a very strategic approach in the Talent Acquisition. # 537, 2nd Floor, 1st A Main, 8th Block, Koramangala, Bangalore - 560095. Land Mark: Near Koramangala Police Station. WALKIN FOR B.Tech/ B.E. Graduate for HR IT Recruiter Job Opening on 2nd ,3rd Dec. Proven ability to consistently and positively contribute in a high- paced, changing work environment. Ability to prioritize multiple functions , tasks and manage work time efficiently. Providing customer service in relation to collection issues, dealing with general collection calls, customer experiencing financial difficulties and associated enquires. - Must be proficient in English, Hindi. Spot Offer !Walkin With Resume and Walk Out with Offer Letter !! Walk In with your latest resume and passport size photograph on Saturday, 3rd December 2016. Executive Development Centre, Indian Institute of Hotel Management Campus, Sheshadri Road, Next to Government Polytechnic, Bengaluru. 22. Dreams Earth Space Property Solution : Relationship Manager/Business Development Manager/Customer Relationship Manager. Responsible to deal with large Corporate and HNI clients to invest in our real estate products. Making presentations or pitches outlining the benefits of product/ services for the scheduled appointments. Accompanying the clients for the site visits and giving the complete information regarding the facilities near the projects. Meeting new HNI and Ultra HNI clients, with portfolio more than 5cr. Required to be constantly updated with the domestic and 2nd home real estate markets. Gather market Intelligence on competitors and their activities. Responsible for achieving targets set by the organization. Taking all necessary knowledge enhancement efforts. Candidate must be a minimum graduate from a recognized university. Excellent business communication (verbal and written) skills and presentation skills. Strong virtual team worker with the willingness to travel within the region. Real estate 2nd home sales experience will be added advantage. Interested candidate can walk in on below address. 23. Triciel Technologies Pvt Ltd : "Mobile Application Developer"
Looking for a creative “Mobile App Developer” who possess experience in the following services for mobile applications including custom, packaged, and hosted client, client/server and cloud-based solutions with support for all leading high-level operating systems (HLOS) and cloud platforms. • Knowledge/ Experience in Multi-Platform (Hybrid [Tools are Phone Gap, Xamarin]/Native [Android studio]) would be good. • Articulate client requirements into technical architecture along with good communication. • Should have knowledge in retrieving mobile contact module. • Should have worked on GPS, hardware devices in the phone, and wireless communication devices is mandatory. Experience in mobile application development such as Android. Walkins Bangalore: 3rd Dec. EY at RMZ Infinity. Referral Code - IN010M31730. · Executives are responsible for generating revenue from sales for our business to new clients and leading all significant sales initiatives, providing basic service & sales to customers. · The profile is a combination of both Sales generation as well as Customer Relationship Management. 100% Office Job. No field work. · Responsible for developing new business opportunities for the Company. · Identify and make contact with potential clients, recognize and identify their requirements and accordingly pitch the Company's services to them. · Maintain up-to-date information on all customer interactions in the CRM Database. · Respond to Sales queries of existing and potential customers. · Generate revenue for the Company through Sales. · Hindi and English is a must. Candidate should be confident, and should possess convincing skill, 100% Office work, contacting clients through Calls/ Emails. # Googlerank.co.in is maintained and promoted by G R INFOCOM (P) LTD. G R INFOCOM (P) LTD has its head office in Bangalore from where it operates Googlerank.co.in. hiring Store Managers and Sales Executives for our Lenskart stores coming up in Bangalore. Urgent opening for field network engineer. Direct come for interview only F2F round. hiring Quality Controllers and Scripters for one of the biggest clients in the media and entertainment industry. #JOB_ALERT :- GGK tech hiring freshers for HYD location ! @ALL guys apply directly ..no need to fill any employee details if u don't know ! people getting call after applying directly ! 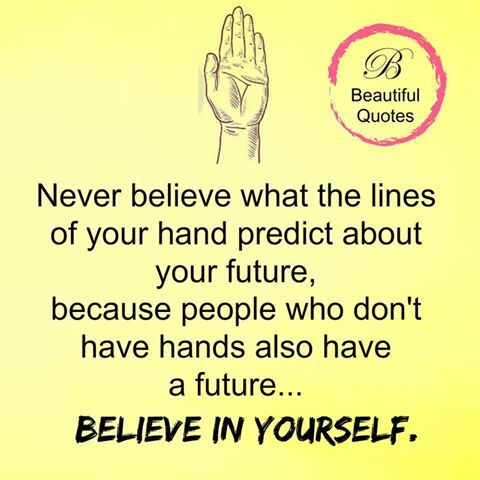 "Believe in yourself and all that you are"
If the Plan doesn't work, change the Plan but Not the Goal !!! #SAP Placement papers :- TECHNICAL ROUND & HR ..! 1. What is a class and object in C++.Explain by taking an example. 2. What is static and use of it? Give a real life example where you would use it? 3. What are public, private called in C++( ans :Access Specifiers) , What is the use of them? For whom would it be useful users or developers? 4. What is difference between authorization and authentication? 6. How is Encapsulation implemented and an example? 7. What is use of inheritance? 8. Write a program to find second largest number in an array? Note: I just wrote a code to first find the maximum element and make it zero then again find the max from remaining(which would give second largest number). He asked whether this is the best solution , I Said No, this is the first solution that would strike anyone and we can improve its time and space complexity. 9. Then he asked about time and space complexity? 10. Finally any questions for me? He said it was good to have you and I answered most of the questions , the thing is that you don't need to have the exact answer its about how you get to a solution and how you think you can improve yourself Thank you. Results were announced within 15 mins. And here comes the shocking moment, I was called by the HR she asked how was your interview and I said good, she said but we are sorry you didn't clear the first round, it was a shocker for me, I controlled myself and after taking two steps I heard a voice, it was the HR she said just wait a moment. I thought she would return me my resume :p , then after 10 minutes she came back and said I am really sorry there was a small mistake you are through to the next round. Oh my god what was that, even the same thing happened to one more guy with me. After all those drama, second round started in 15 mins. The interviewer introduced himself , he was working with SAP for 13 years and was about 50, The moment I saw him, I became nervous. He said I don't want to ask anything about programming as you have answered good in the first round and got good score. He asked to introduce myself , then asked if I have any other offer, I said yes, then he asked then y do u want to join SAP, I explained. 1. There are 10 balls out of which one ball is heavier and all other balls are of equal weight , how many min measurements are required to find the heavier one? 2. Again a puzzle on weights, There are 25 machines producing 1 kg weights , suddenly a machine corrupted and started producing weights measuring 999 grams,Find the machine with a single measurement? 3. Have u worked with any database? 5. What are triggers. How to use them? 6. Why do we need a foreign key when we have a primary key? 7. What is index in SQL? 8. What is use of joins? 10. Last question as usual any question for me? I asked two, he said thanks and I left. The interviewer introduced himself and congratulated me for clearing two rounds. Asked me to introduce myself, then my qualities. I said I always want to find newer ways of implementing things , he asked me to give some examples about it , I explained one from my project and the other one from my first round regarding the program for finding the second largest example, he was very impressed. Asked about my projects and other things apart from academics. Asked whether I have any offers. What I know about SAP, why SAP? He gave me a pattern, it was a pentagon , then 2nd one was two pentagons whose vertices were connected, every line between two points would be considered as a connection. How many connections would be there in the 75th pattern. I tried to solve and came to a recursive solution within 5 mins( Ans: 5(n)+number of connections in [n-1]th pattern). He said this a recursive solution , how can you find without using a system , I explained him that all things we do are on system and clients would need a program for such a question and this would work fine, he was very much impressed. He said he will choose a number between 1 to 200 , You have to write down a set of questions asking them u have to tell me the number and note that the same question should work if I change the range from 1000-2000. I started thinking , then I thought a binary search would work in this case, I wrote related questions and said it's a binary search he asked me to write a code for it, I wrote. He asked how would I adjust to Bangalore as I am from other city I explained. Then he asked me to ask any questions. I got the result within 5mins and was asked to go for final round. Interviewer introduced himself, he was about 35, asked me to introduce myself, and explain me about my projects, after that he asked whether ever worked within a team, I answered everything. What are my interested areas,mI said cloud computing, Big data and IoT, he asked me to explain. Asked whether I have any other offers, I said yes then y I would prefer SAP. I explained him, he asked me about my family, will I able to move to Bangalore? He did not say I was selected but from his words I got that. Finally he said we have an offer to you, and explained all benefits, pay and all. I said thank you sir, he asked me to chose preferred joining date and asked if I had any query and I asked few and said thank you. Its not about the answer its all about how you approach the problem may it be a program or a puzzle. Be confident, tell them if you don't know a particular question, make sure you tell them your approach, given an opportunity to ask questions at the end, always ask a few, this would show your interest to the interviewer. #SAP Online Test patterns :- Hope it will help u guys..! #SAP new placement papers. SAP on line written test pattern, SAP test procedure. #SAP Online Test Details:- Online test of 1 hr 30 mins. #Total time given was 1 hr and 30 minutes. There was no negative marking. 1.) Aptitude:- (10 questions) 1 mark each question. - Geometry-Questions related to circle and triangle (Little Bit tough). -Blood Relation- 4 to 5 questions. 3.) Verbal:- (11 questions).Essay-10 marks & 1 marks questions. - An essay of not more than 300 words had to be written and it carried 10 marks. 4.) Technical:-(10 questions).1 marks questions. -Very basic and simple questions from c and dbms. In Mathematics each number has one special number, which it supports, chosen as follows. It counts the number of ones in its own binary representation, and adds this count to itself to obtain the value of the number it supports. That is, if j(m) means the number of ones in the binary representation of m, then m supports m+j(m). For example, the number eight (1000 in binary) supports nine, whereas nine supports eleven. However, in this way not all the numbers get supported; some are left without support, and we call these numbers bleak. For example since one supports two, two supports three and three supports five, there is no number less than four, which would support four, so four is bleak. Your task is for a given number recognize if it is bleak or supported by some number. Written test: 90 mins (no calculator allowed). Consisted of following sections: (106 questions total). Aptitude, Logical, Verbal were general questions. There was too less time to even read the questions. Computer science consisted mainly of DBMS, OS and Output questions in C/C++. Q2. Find sum of digits. #GGK_Technologies Placement papers : Must follow ! Programming test is the final round when had come out of the test room. Even our college TPO was not aware of this process as They were not informed earlier regarding this pattern. WAP to find and print second largest digit in the given number? ( without using arrays, functions and using only one loop). Eligibility : BE/BTech in ECE, CS, IT. Job Profile : Network Engineer. Timing : 9 AM sharp. Last Date of Registration : 3rd December 2016 5 PM. Greetings from CMS IT Services Pvt Ltd.
We CMS, As one of India’s top IT services firms, CMS IT services has support infrastructure spread across 30 branches and 220 direct support locations in India. CMS provides complete solutions to large corporations across all sectors, including banking, insurance, retail, telecom and manufacturing. Kindly call HR Saranya - 9551049848 for more info. Job Role: Live monitoring the application and technical troubleshooting, bugs, errors fixing etc. Qualification: BE/BTech / BCA/MCA/BScIT/MScIT/ or any Technical Degree. Graduation must. Preference: Candidate Preferably from Application Support / Technical Support / UI developing / Troubleshooting.